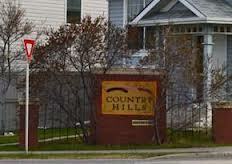 Here you can view all the homes currently For Sale in COUNTRY HILLS CALGARY. Email Glen at Glen@Godlonton.com for more details on any of theses great homes. Drop us a note to inquire about any properties that may be coming to market in the near future. Country Hills is a residential neighbourhood in the north-west quadrant of Calgary, Alberta. It is bounded to the north by the Country Hills Boulevard, to the south by Beddington Trail and to the east by Harvest Hills Boulevard. 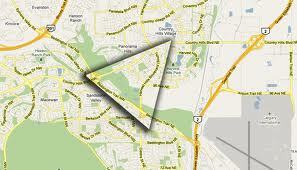 To the south-west, it is bordered by the Country Hills golf course and the West Nose Creek. The new community of Country Hills Calgary Village is located in the north-east of the neighbourhood. Country Hills was established in 1990. It is represented in the Calgary City Council by the Ward 4 Councillor. In the City of Calgary’s 2012 municipal census, Country Hills had a population of 3,728 living in 1,426 dwellings, a 0.2% increase from its 2011 population of 3,720. With a land area of 1.9 km2 (0.73 sq mi), it had a population density of 1,960/km2 (5,080/sq mi) in 2012. Also in the 2012 municipal census, Country Hills Village had a population of 2,615 living in 1,467 dwellings, a 11.7% increase from its 2011 population of 2,342. With a land area of 1 km2 (0.39 sq mi), it had a population density of 2,600/km2 (7,000/sq mi) in 2012. As of 2000, a proportion of 9.5% of the buildings were condominiums or apartments, and 6.8% of the housing was used for renting. Country Hills residents enjoy a public Library in their community. It is located at 11950 Country Village Link N.E. in Cardel Place. Come enjoy.